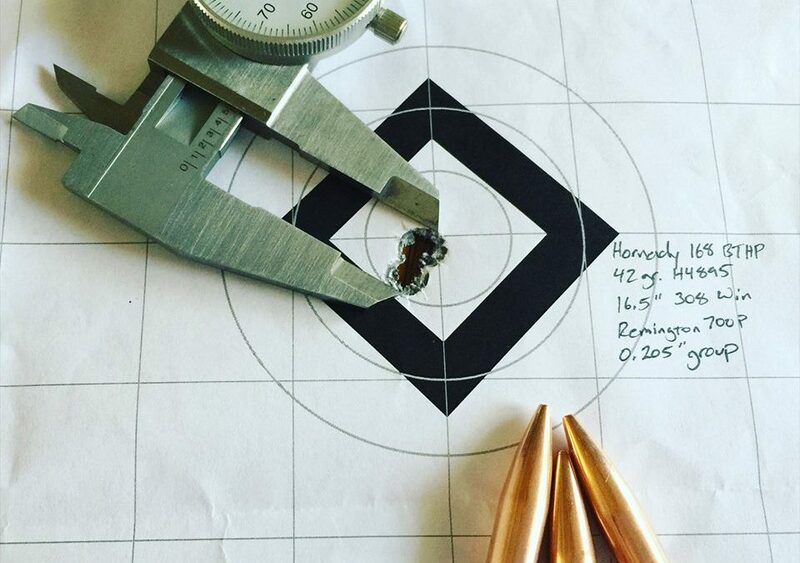 But every once in a while, like when I’m developing a new load, I spend my time at the range shooting nothing but 100 yard groups for load-to-load comparison. This is a closeup of the target in the post below. I think I’ll save this one. Remington 700P with a 16.5″ barrel and a Leupold Mk4 3.5-10x scope shooting Hornday 168gr. BTHP bullets with 42gr. of Hodgdon’s H4895 powder.